My name is Kezia Bennett. I’m a wheelchair user and a volunteer writer for Arts Access Aotearoa. 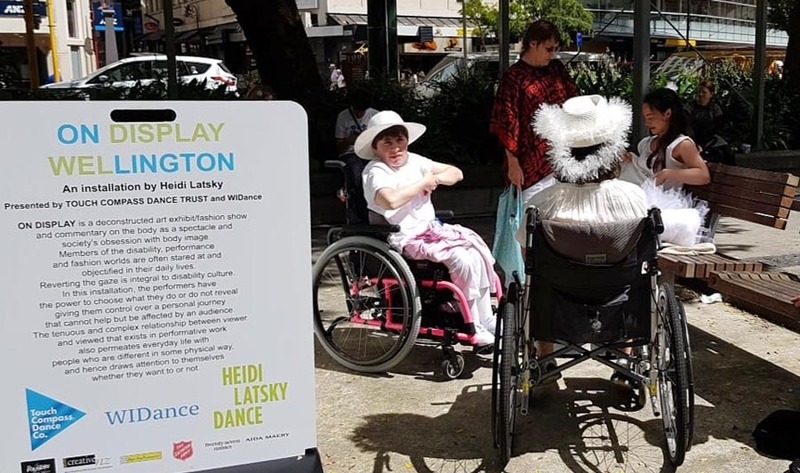 I am also a founding member of Wellington Integrated Dance (WIDance). WIDance runs weekly dance classes at Te Whaea: National Dance and Drama Centre in Newtown over four six-week terms. The classes involve developing skills in contemporary dance, improvisation and choreography. WIDance is such a diverse group. There are people with disabilities and without, and even among the people with disabilities, some are in wheelchairs or mobility scooters or use crutches; some can walk but also need a mobility aid; and for some, their disability isn’t physical. Yet we all have a love of dance in common. There are often a few new people each term but there’s also a core group of us who’ve been there since the first workshops, or at least the early years of regular classes. We’ve got to know each other really well and we have a great sense of camaraderie – and that shared sense of humour and mischief that comes from knowing people really well and being comfortable with them! I would describe our dance “style” as interpretive dance. Our main tutor, Sumara, does a lot of the choreography but as group members we also make up a lot of our own choreography and contribute our ideas. WIDance is a very democratic and inclusive group. 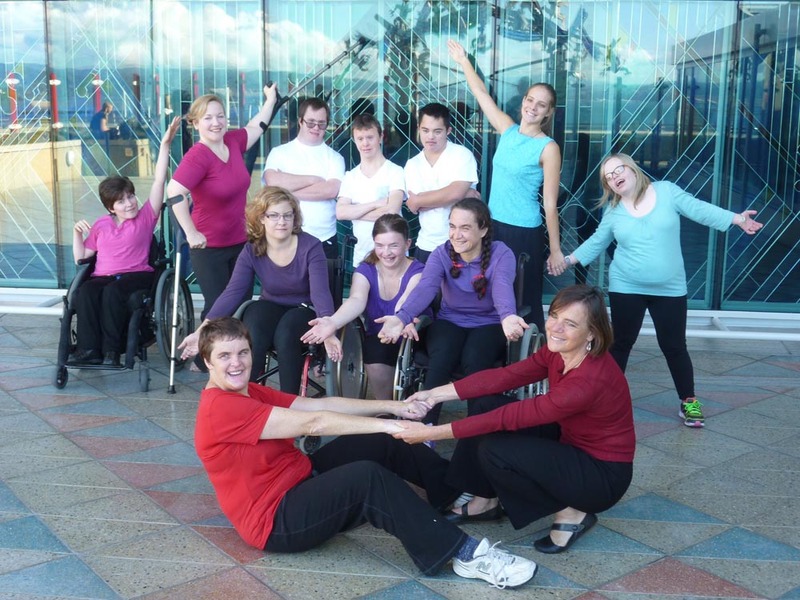 WIDance had its beginnings in 2007, with sporadic weekend workshops run by our umbrella or parent company, Auckland-based Touch Compass, until 2009. We became our own stand-alone group in 2010 and I’m really looking forward to our tenth anniversary, and the celebrations and performances that will entail next year! Unlike Touch Compass, which is a professional dance company, WIDance is an amateur company – but trust me, we rehearse like a professional dance company, and our performances are of a pretty professional standard. “Good enough” or “close enough” doesn’t quite cut it, and slacking off is not an option! Over the years, we’ve done a number of performances. Among them are Te Papa’s celebration of International Day of Persons with Disabilities more than once, DANZ’s 20th anniversary show, a big performance for the public on our five-year anniversary and On Display (see this article) last year in Wellington’s CBD on the International Day of Persons with Disabilities, with plans to do so again this year. At the end of each term, we also have a small “showing” of the term’s work for friends and family. Although dance makes up the bulk of what we do, occasionally we do learn other skills. We’re right next door to Wellington’s Circus Hub, and we’ve done several workshops there. Sometimes we also get visiting dance tutors in to show us different dance skills. I really like being in WIDance. I enjoy the camaraderie, and the fact that I’ve been able to meet people from all over Wellington and as far away as Kapiti, who I probably never would have met if we weren’t in WIDance together. We work hard, but we play hard too – with Shape Tag being one of the most-requested warm-ups, and Spaghetti being the most-requested game if we have a few spare minutes at the end of class. 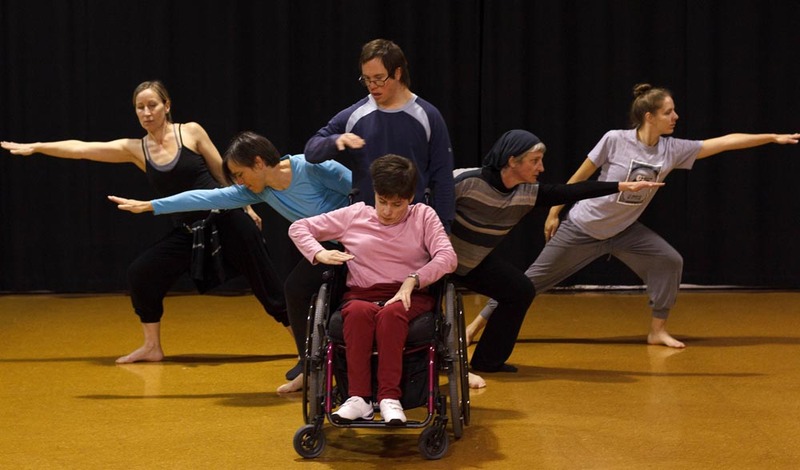 In WIDance, it doesn’t matter if you have a disability. The focus is on what you can do, not what you can’t – we often get reminded to adapt other people’s dance moves to fit our own bodies, challenge ourselves, and push our limits/stretch our comfort zone. For those of us who have been in WIDance since the early days, I have noticed the difference. Some of the things we do in class now, most of us wouldn’t even have attempted back then. I know I would have said some things were “too hard” or “I can’t do that” before I’d even given it a go. Now, I at least give it a really hard try before I give up, and even then I try to find another way around it so it’s not really “giving up”. WIDance has improved our confidence levels too. For anyone living in the Wellington region who’s interested in dance, I highly recommend coming along and checking out WIDance. We’ll make you feel very welcome, and you’ll have a lot of fun. Original generation time 1.1308 seconds. Cache Loaded in: 0.0004 seconds.